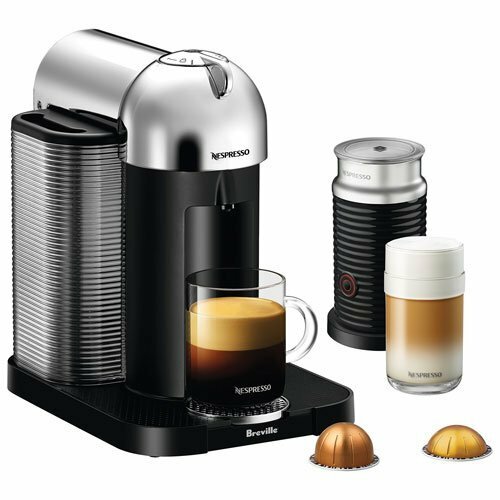 The Nespresso VertuoLine is a streamlined coffee-maker focused on Nespresso-only coffee and espresso beverages. 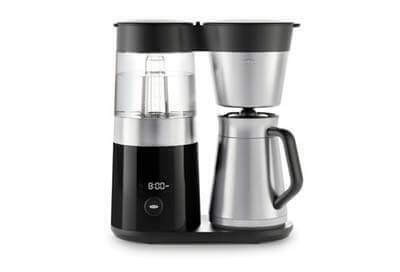 It’s got a stylish retro look and an easy interface that’s been designed to make brewing your morning beverage easy while maintaining a higher-quality, crema-sporting experience. It’s also relatively easy to clean and maintain. Consumers opinion: The Nespresso Vertuo by Breville earns an average rating of 4.4 out of 5 from more than 300 Reviews on Amazon, one of the best selling in category Nespresso Coffee Machine. For all these pluses, the Nespresso Vertuo has a few minuses. The VertuoLine is limited in its options; it completely excludes tea, for instance. The VertuoLine also carries a pretty hefty price tag, in addition to the fact that it only takes exclusive Nespresso coffee or espresso pods. Like all coffee-makers, the VertuoLine is going to be perfect for some but not for others. Let’s break it down. We’ll go into the separate factors that make up the entire coffee-maker. We’ll also go into comparisons against other coffee makers of similar price and style. As we analyze the various features we’ll explain why or why not certain features are good or bad. 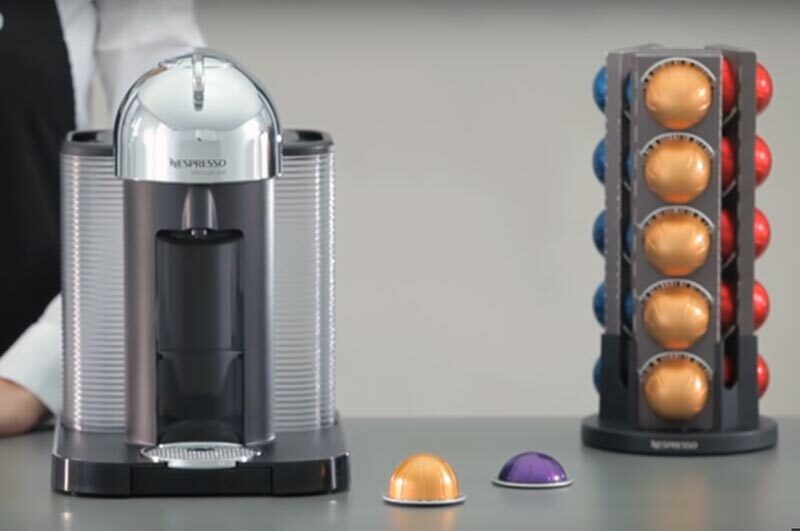 Performance: The VertuoLine’s performance is good for what it’s intended to provide but limited by Nespresso’s own design choices and exclusivity. This prevents it from being the right choice for those who aren’t interested in only buying Nespresso products. Maintenance: Easy for the most part, provided you keep your owner’s manual handy. Features: The VertuoLine offers a variety of features that are somewhat limited. This is part of the design, however; the VertuoLine is intended to be a simple, retro-looking coffee-maker for those who like Nespresso coffee and espresso. 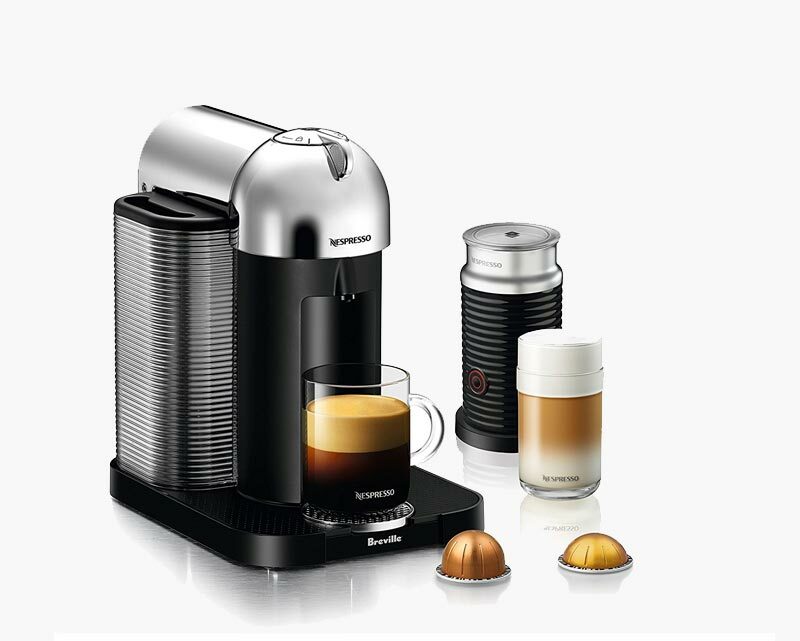 It sports the signature Centrifusion tech that most Nespresso machines are known for, creating the crema that some really enjoy. Overall the functions of the VertuoLine aren’t as wide-ranging as some might want, but that depends entirely on the customer. Some might enjoy the lack of over-complicated options and controls. Price: around $299. A little pricey, especially compared to other coffee-makers that offer more for less. Comparisons: The VertuoLine is more expensive than many other machines but has a few smart design choices to make up for it. All these points will be elaborated on below. Just for reference, espresso is created when a small amount of almost-boiling water, usually around 1.5 ounces, is forced through finely-ground espresso coffee. The resulting liquid is a strong, dark brown drink whose temperature and taste vary depending on the machine and the brand. 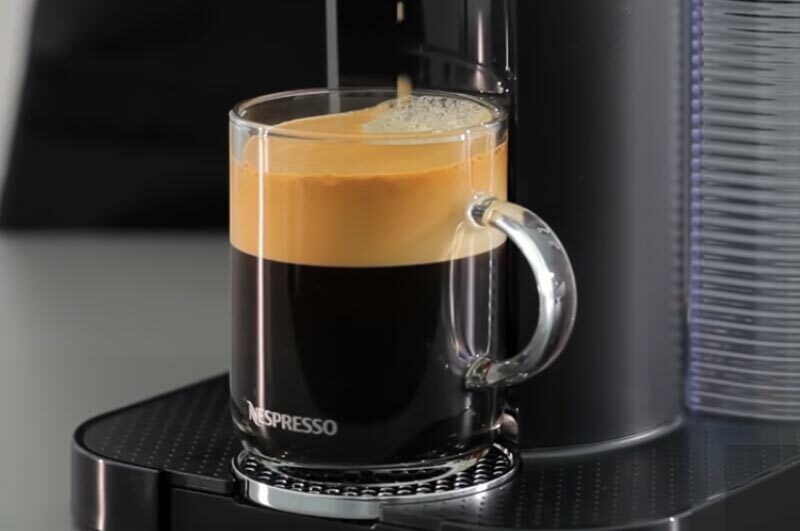 The VertuoLine, by virtue of being made by Nespresso, comes with a signature crema like the kind you might find at a coffee shop; this is the delicate, foamy layer at the top of the espresso. Brewed coffee, on the other hand, is made with coarser-ground coffee and hot water is dripped through the grinds, creating a thinner, more whole-bodied beverage that usually goes in a mug. Everyone knows what this is. The VertuoLine uses its own proprietary Nespresso pods for both of these drinks, and they sell different blends or flavors of beans the same way coffee shops sell bags of different blends. The VertuoLine was created for a specific type of caffeine drinker: one who enjoys both espresso and coffee. Both drinks come out appropriately hot and taste well, but not noticeably better in taste or quality than other brands of coffee. 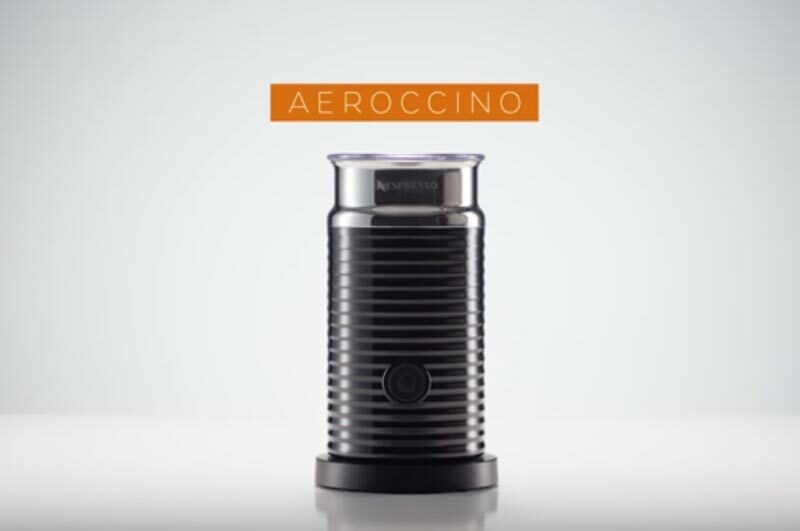 It’s made to take a premium line of coffee and espresso pods- the “Grand Cru” line- and a great trick that this coffee-maker boasts is that it retains Nespresso’s signature crema layer thanks to the Centrifusion spinning tech, which we’ll get into further below. The crema adds a foamy texture to an espresso beverage. This is an important selling point because quality espresso beverages at cafes contain cremas if they’re made by competent baristas. If you want the same kind of experience at home as you might get at your favorite café, then the crema’s inclusions is a major plus. However, a negative against the VertuoLine is its long brew-time. The machine clocks in at 1 minute 51 seconds for a single cup of coffee. 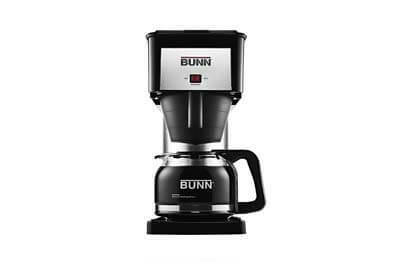 This might be alleviated by the fact that all you have to do is press the start button and walk away, but other coffee machines, like Bunn’s My Café MCU, have much faster brew times around 42 seconds. Once again, when it comes to taste, the VertuoLine doesn’t necessarily make better coffee or espresso than the kind you could get from cheaper machines. The crema is a highlight that might make the difference for some people; it’s a thing you can actually taste which changes how you feel about your beverage. Can you put a price on the “high-quality”, barista-made feel that crema gives to the drink? The fact that the VertuoLine only has one button is great since it allows for fewer things to break over the device’s lifetime. 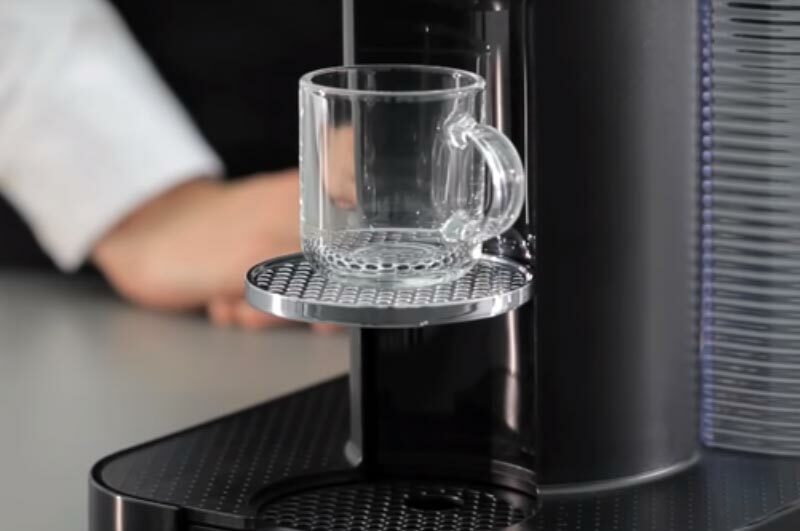 The fact that the coffee-maker only allows its own pods, with barcodes, ensures that actually making your beverage is as hands-free as possible. Slide the pod, click the lid, press the button. Easy. The water tank is easily-reachable when refilling is necessary, and the pods, as previously mentioned, deposit themselves in the disposal bin when you lift the lid. This is great for cramped counters or kitchens when reaching around the coffee machine might be difficult. Other operations, such as cleaning cycles or restoring default settings, take more input than you might think since the rest of the machine is so simple. The user manual should definitely be consulted when trying to find the right combinations of the single button to initiate these actions. There’s no intuitive way to figure it out since one button for everything means you either have to remember the right combination for the right action or use the manual. Overall the maintenance for the VertuoLine is easier than most coffee-makers but has its share of frustrations if you lose your owner’s manual. The VertuoLine offers a range of customization options: a fantastic perk for those who have particular tastes. The standard settings are 1.35 ounces per espresso cup and 7.77 ounces for a coffee, but the range offered goes from 0.3 ounces to 17 whole ounces. There are 3 cup heights, easily adjustable, for the varying containers you might hold your drink in. The smallest is for the traditional, ceramic espresso cups holdable by a finger, then increases to a standard coffee mug and higher for a travel thermos or mug. The controls are simple and easy-to-use; there’s only one button avoid over-complicating the early-morning task of making coffee. Every operation is done through this button, and customizations are completed through various combinations. 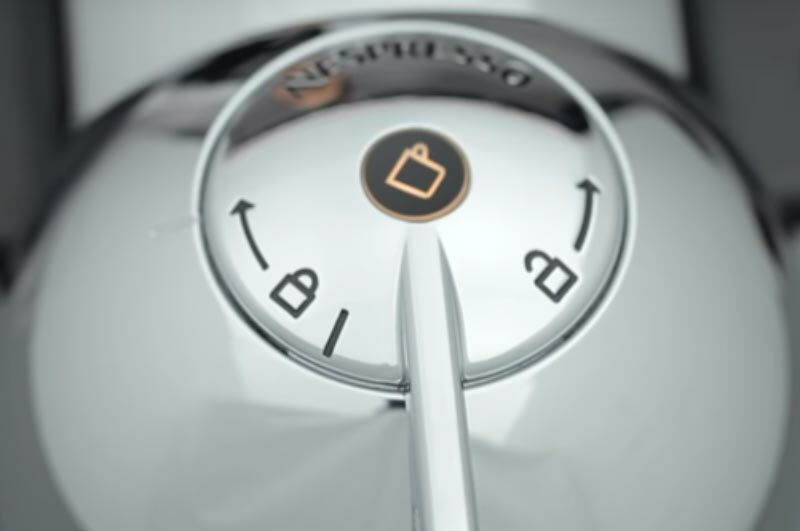 The VertuoLine uses a latch at the top to hold the pods in place while it dispenses your drink, then automatically places the used pod into the attached disposal bin without needing you to touch it at all. It takes 15 to 20 seconds to preheat the VertuoLine. 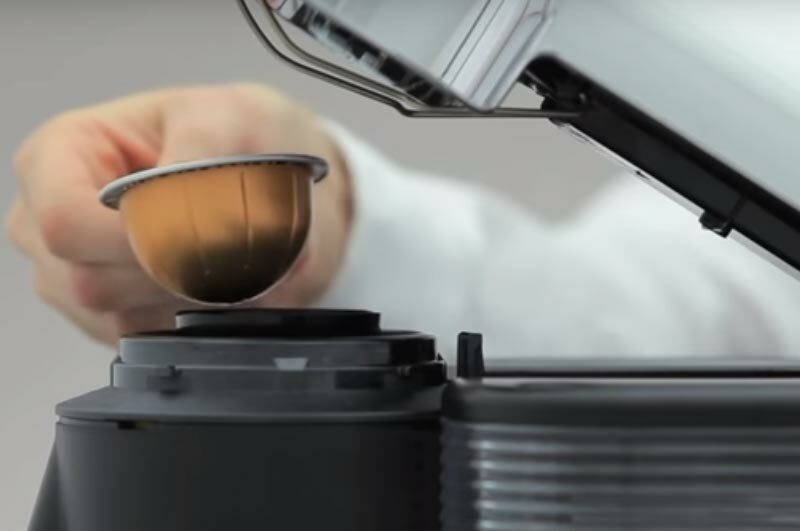 Nespresso’s trademarked Centrifusion technology is back once again; this is what makes the pod spin and the fancy crema appear atop your beverage. The VertuoLine also comes set to shut off automatically after 9 minutes: useful if you’re running late and forget to switch it off yourself. One more thing to note is the pack of sample capsules that come with the purchase of the VertuoLine. This is great if you want to try a few different drinks before settling on a favorite. Keep in mind once again that the VertuoLine only takes Nespresso pods. In fact, the pods are barcoded to ensure that there’s no chance of tricking the machine into taking a competitor’s pods. This is somewhat disappointing but expected from Nespresso since they’re so interested in maintaining their exclusivity. 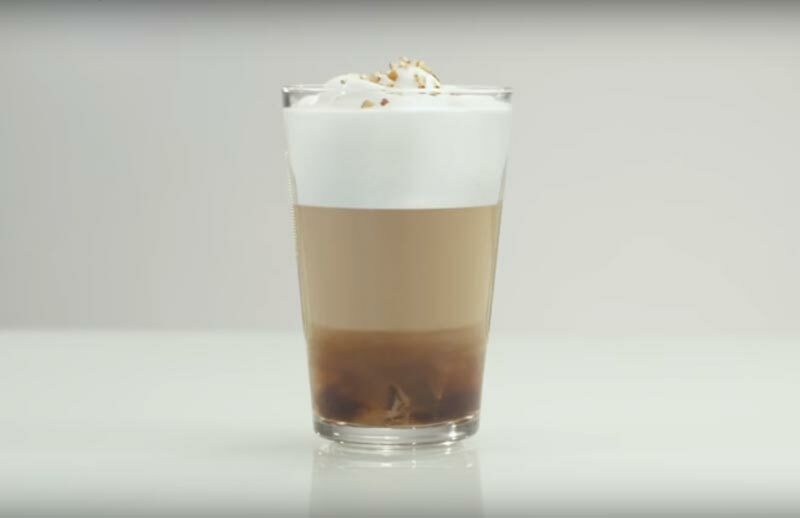 In addition, you can add Nespresso’s Aeroccino+milk pods to make your own lattes; this is the only extra type of drink possible with the VertuoLine, since lattes are simply espresso topped with steamed milk and foam. Since other coffee makers often allow more brewing and customization options, this is a mark against the VertuoLine for drinkers who have more varied tastes than Nespresso-only espresso and coffee. Tea drinkers, in particular, will feel left out of this machine’s intended customers. What’s interesting about the VertuoLine’s design is it’s somewhat-retro look and feel; the brewer could have fit in an episode of Mad Men without seeming out-of-place. Despite the retro design, the sleek exterior and stylish sides ensure that it could hold a place on any modern countertop just as easily. For the pickier among us, the VertuoLine comes in red, black or the even-more-retro chrome. It’s not too big or small, either; anyone who’s owned a Keurig could own a VertuoLine. The machine measures 8.32 inches wide by 11.91 inches deep by 11.93 inches tall and sports a 40-oz water tank. The built-in disposal container can handle 14 pods before requiring emptying. The flat bottom of the VertuoLine makes it easy to fit onto a countertop-accessory lineup. The slot in the middle of the machine is sized well; only odd cups here and there will have trouble remaining secure as coffee or espresso drips down. This is certainly an advantage for the VertuoLine, as very few coffee or espresso makers offer character to any real degree. For the most part, they’re just tools sitting on the countertop without much to say. The VertuoLine, on the other hand, certainly makes its presence known. The VertuoLine comes in at a pricey $299. Most of that price is brand, design and usability; this machine is supposed to last for a while and the lack of varying options means fewer parts or functions that can break down. The sample pods that come with the purchase definitely don’t hurt. A note to keep in mind might be that reduced maintenance costs might be worth the initial extra dollars, since the streamlined, simplistic design will, in theory, have fewer breaking parts down the road. Of course, the fact that the VertuoLine only takes Nespresso pods adds to the lifetime cost of the coffee-maker, so weight those factors accordingly. 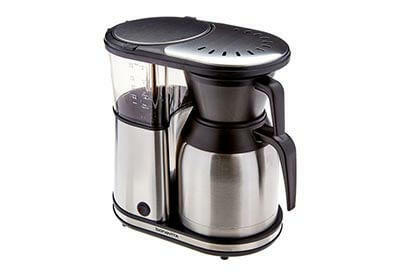 There are a few other coffee makers to compare the VertuoLine to. First is the Starbucks Verismo 580, a very direct competitor and another maker that only takes its branded pods. The Verismo is $149, much cheaper, but is also much deeper than the VertuoLine: 14.8 inches for the Verismo compared to VertuoLine’s 11.91. This can make fitting it onto a countertop difficult. The Verismo also holds less water and fewer pods in its disposal bin. Next are the Keurig machines, the K75 Platinum and Vue V700, priced at $179.99 and $149.99 respectively. Both machines are quite heavier than the VertuoLine, which is sleeker and more compactly-designed, and the Keurig machines are known for their flimsiness. The VertuoLine definitely wins the style and appearance competition. Finally the Bunn My Café MCU, priced at $159.99. It’s smaller (11.3 pounds and measuring 13.5 inches wide by 9.2 inches deep by 16.5 inches tall) and can make tea, oatmeal or brew from ground coffee. All this versatility outshines the VertuoLine by a longshot. Capacity 40 oz Removable Water Tank. Container for 13-20 used capsules. Dimensions H x W x D (in.) 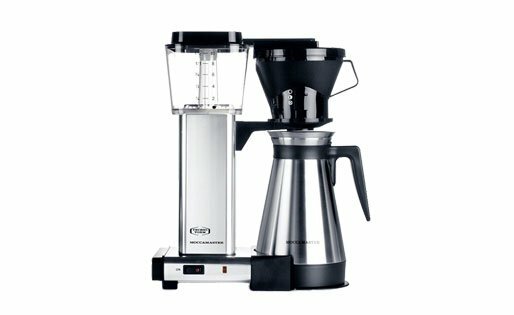 8.3" x 11.93" x 11.91"
The VertuoLine coffee maker is a little pricey, but it makes up for that fact by nailing the features it wanted to mater. The VertuoLine is designed from top-to-bottom to be simple, streamline and sleek on your countertop. Its lack of variable options are a feature, not an error, and should be considered when selecting a coffee maker of your own. 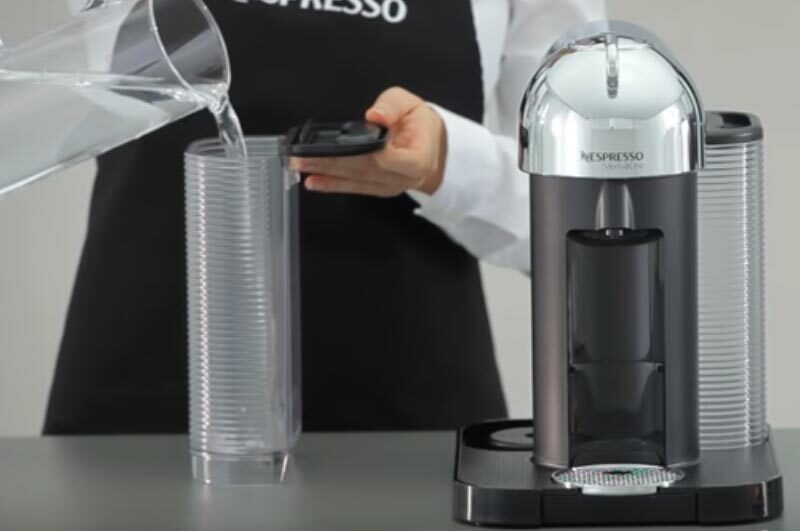 The VertuoLine makes coffee and espresso only from Nespresso pods; if you’re an avid buyer of those products, this will go right along with your current habits. But if you’ve got more varied tastes or like to enjoy tea once in a while, you’ll want to pass for something more versatile and affordable. Finally, the VertuoLine offers a premium-quality flavor to its beverages thanks to Nespresso’s Centrifusion-tech crema. 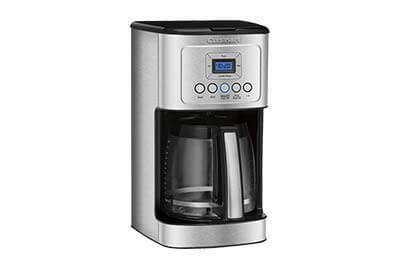 This is great for those who want a little shine to their coffee or a high-quality beverage without having to push a lot of buttons. It’s designed to let you set, forget for 2 minutes, then grab your Nespresso coffee and go.